Easy Cajun Cafe Bourbon Chicken is wonderfully spicy without being too hot. This Cajun Cafe Bourbon Chicken makes up a saucy and savory dish that really hits the spot. Bourbon gives the Cajun Cafe Bourbon Chicken a unique flavor, serve with white rice to make sure you sop all of the extra sauce. 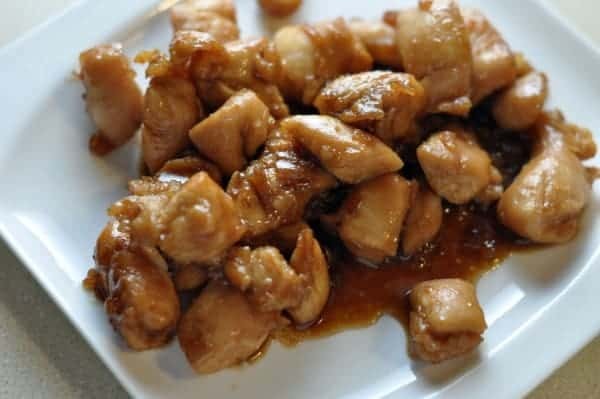 Make Easy Cajun Cafe Bourbon Chicken just like you find in many malls. Mix all the marinade ingredients and pour over chicken pieces in a bowl. Cover and refrigerate (stirring often) for several hours (best overnight). Bake chicken at 350 for one hour in a single layer, basting every 10 minutes. Remove chicken. Scrape pan juices with all the brown bits into a frying pan. Heat, and add 2 tablespoons white wine. Stir and add chicken. Cook for 1 minute and serve. I love this I ate this allot when I worked in the mall. I will be making this really soon! Thanks for posting this one!